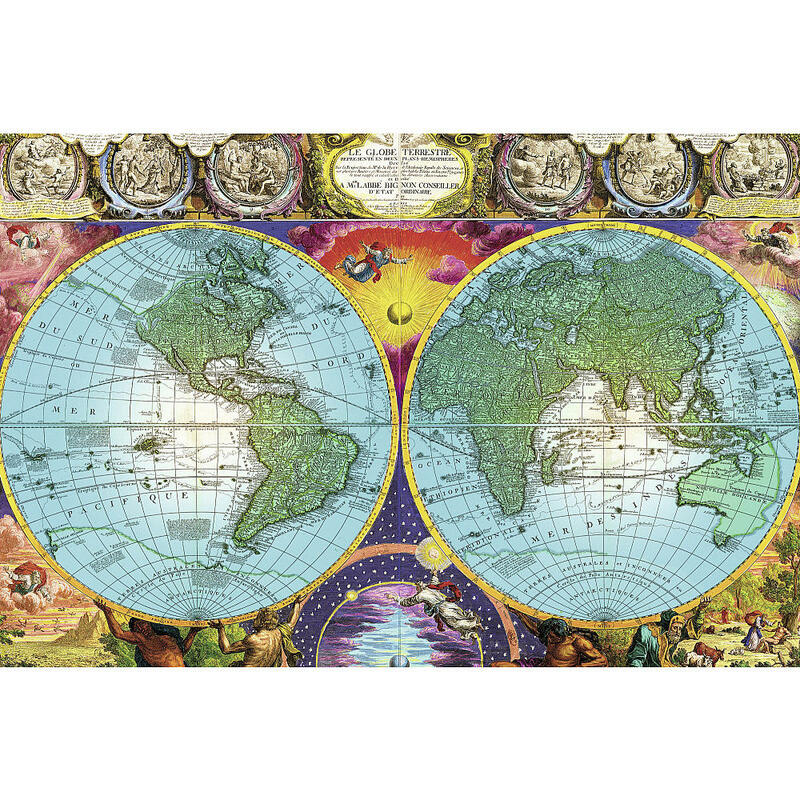 An antique map of the world with historic images around the borders which add colour and interest. 3000 pieces. 121 x 80 cms.